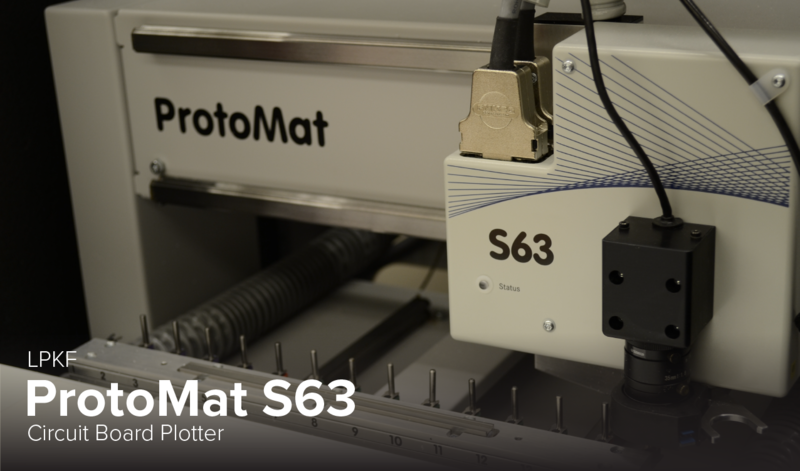 The ProtoMat S63 circuit board plotter is great for virtually any job or prototyping. The ProtoMat S63 masters 2.5-dimensional material machining and features a rapid spindle speed of 60.000 rpm. This also makes it suitable for drilling test adapters and housing production. Features of this circuit board plotter include automatic tool changing and automatic milling width adjustment.